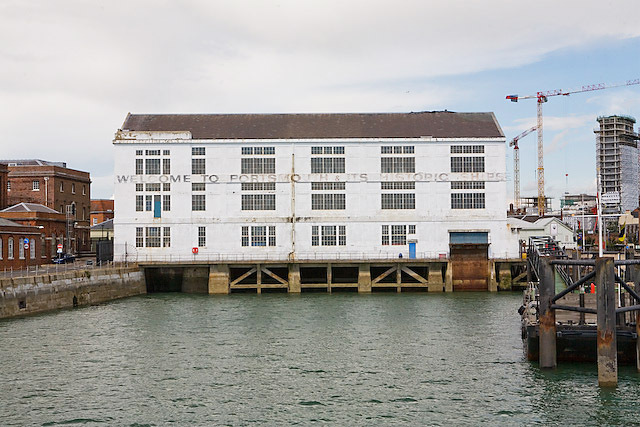 Heritage Lottery Fund officials have announced that a bid to develop Portsmouth Historic Dockyard’s Boathouse no 4 to include a traditional boat building training centre run by the International Boatbuilding Training College has successfully passed the first stage of its application for funding. If the bid is successful, Boathouse no 4, which was constructed during the massive 1930s period of re-armament and used for constructing the secret three man midget X-Craft submarine during World War II, will be restored and opened to the public as the Boatbuilding & Heritage Skills Training Centre. Visitors will be able to watch traditional boat building in action, as well as enjoy exhibitions on the story of small boats in the British Navy. As well as securing the future of Boathouse 4, the project is expected to help produce the craftsmen needed to preserve iconic ships such as HMS Victory and HMS Warrior, although graduates will leave the academy with carpentry and engineering skills to enable them to develop careers in the marine and heritage sectors more generally. The Portsmouth branch of the IBTC will be in addition to the long-established college near Lowestoft in Suffolk. See the Heritage Lottery Fund announcement.